Turkey isn’t the only thing you can stuff this time of year. This award-winning recipe is perfect for Thanksgiving dinner. I love the Green Chili Rice Casserole! I have that page from Tennessee Farm & Home clipped and saved in my favorite recipe file. 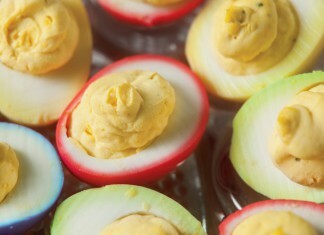 Add a pop of color to boring deviled eggs for a bright and festive snack.